The Old North Bridge, site of the first battle of the American Revolution in 1775, spans the Concord River a mere half-hour to the west of Boston. 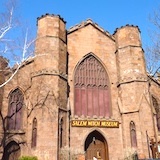 But it is just one of the fascinating historical sites that make Concord a perfect day trip from Boston. Visit the Old Manse, Orchard House, Sleepy Hollow Cemetery, the Wayside Inn, and the Concord Museum, and you'll enter the world of the famous American writers and Transcendentalists who called Concord "home" during the mid-19th century. Ralph Waldo Emerson, Henry David Thoreau, Bronson Alcott, Louisa May Alcott (Little Women), and Nathaniel Hawthorne all lived, socialized, and wrote here. And just down the road, you can stop by Walden Pond where Thoreau wrote Walden and "Civil Disobedience." 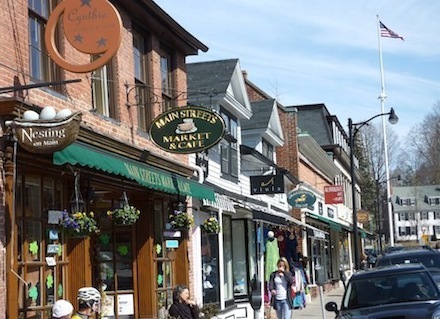 Add in some terrific shops, renowned restaurants, and cozy inns and hotels if you extend your day trip to include the whole weekend, and you'll see why Concord is one of the Boston area's top destinations. 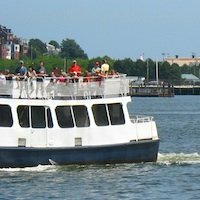 If you're coming from Boston, you can easily see Old North Bridge and all of Concord's other famous sites in a day, especially if you get an early start. However, if you want to visit the time to shop, dine, and perhaps even swim in Walden Pond, plan a weekend getaway. If you're coming for Patriots' Day events, be sure to also check out the Patriots' Day schedule for Old North Bridge battle re-enactments. Suggested route: Mass Pike to Rt 128 North to Route 2 West. At the Route 2 / Route 126 intersection, turn left to Walden Pond. 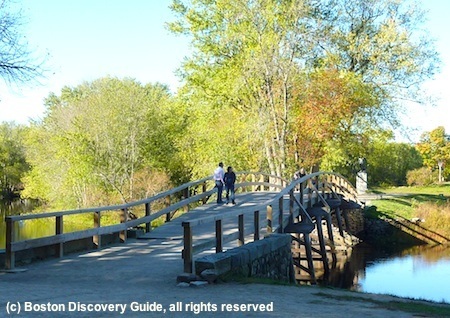 Then take Route 126 North into Concord and visit Old North Bridge and other sites there. Going back to Boston, take Route 2A. Paul Revere capture site is about 3 miles from Concord Center on the left. Continue on 2A to Route 128 South to Mass Pike. Take Mass Pike back to Boston. Getting around: In Concord Center, you'll find on the street parking (bring quarters for meters), as well as small parking lots near many of the main sites. Visitor Center: 58 Main Street, in Concord Center. Information and public restrooms. Open April through October. Some of the major reenactments of American Revolution events and battles take place in and near Concord. Members of honorary militias stage these many of these special events as part of the Patriots Day celebrations, although you may also see uniformed reenactors near the Old North Bridge at other times of the year. Check the Patriots Day events schedule to find out more. Here's an overview of Old North Bridge and other major sites, more or less following the suggested route in the previous box. I took most of the photos in mid-March, since some sites can be hard to photograph once the trees leaf out. And at Walden Pond, icy from the winter cold, you can picture Thoreau in his cozy little cabin, writing about how his decision to "live deliberately, to front only the essential facts of life . . . "
Although technically located within the town of Lincoln, Walden Pond lies only about 3 miles to the south of Concord. When Henry David Thoreau built his famous cabin in the woods near the pond in 1845, his friend and mentor Ralph Waldo Emerson owned the land and let him build his cabin and live rent-free in exchange for clearing some land and doing a few other chores. 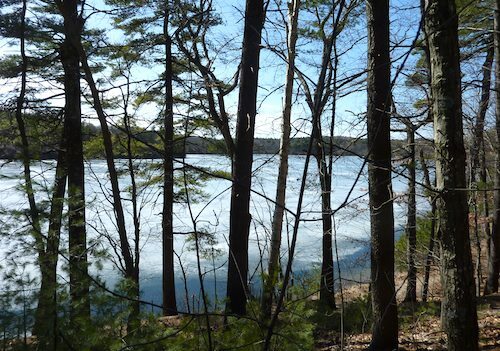 Walden Pond continues to be even more popular today than during Thoreau's time. 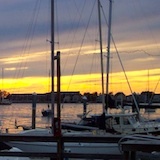 During the summer, many people come to swim, walk, and enjoy the same vistas that inspired Thoreau. The pond itself is what's called a glacial kettle pond. It's deep - over 100 feet - and surrounded by Walden Woods, totaling 2,680 acres. 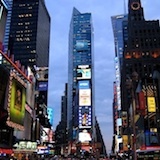 During summer months, Park Rangers conduct tours of the area. Stop by the Visitors Center next to the parking lot to get times and details. A mid-sized lot across the road provides the only parking in the area, so if you're coming during the summer months, your best strategy is to arrive early before the lot fills up; better yet, call before coming. Only about 1,000 visitors are allowed at a time in order to protect the environment around the pond, so when the lot reaches capacity, it closes. If you're spending a long weekend in Concord and have plenty of time to see other sites, consider taking time for a swim or hike around the pond - you can even see a replica of Thoreau's cabin. The pond's bottom and even the beach are a bit rocky, but as Thoreau knew, the views from the water are idyllic. By the time British troops marched to Concord on April 19, 1775, word had already reached locals about the 8 militiamen killed by the Redcoats on Lexington Green that morning. When a skirmish broke out on Old North Bridge and the British fired a volley that killed 2 local minute men, Major John Buttrick of Concord gave the order to fire a volley toward the British troops. The American Revolution began with what Concord writer Ralph Waldo Emerson later called, "the shot heard 'round the world." When you visit North Bridge - locally known as "Old North Bridge" - you won't see the original wooden bridge, as it has been rebuilt a number of times since 1775. Several plaques and markers commemorate the battle. On the far side of the bridge is the Minute Man statue (you can barely see it in the Old North Bridge photo near the top of the page). 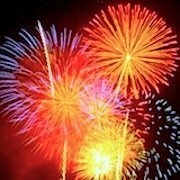 If you happen to visit on Patriot's Day (mid-April), you'll see re-enactments of the events - check out Boston Events Calendar for April for specific details. Although the Old Manse looks similar to plenty of other Colonial-period houses that you'll see in and around Concord, it holds a special place in history because of its famous occupants. 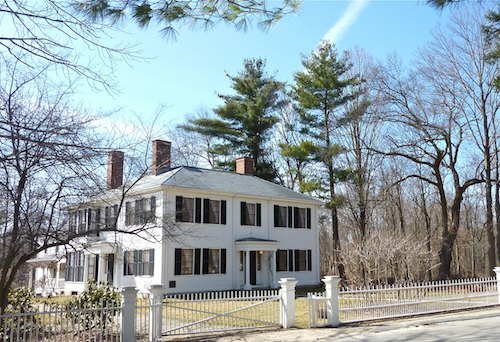 Built in 1770, the Old Manse is the site where Reverend William Emerson and family members, including Ralph Waldo Emerson's father, witnessed the famous battle at Old North Bridge on the Concord River, only about 100 yards away from the back door. Just a few decades later, Ralph Waldo Emerson wrote his famous essay, "Nature," here. And his friend Nathaniel Hawthorne composed his collection of short stories, Mosses from an Old Manse, while living here for a short time with his bride Sophia. You can see many of the Old Manse's original furnishings, still in place. And if you visit here in the summer, be sure to spend some time in the vegetable garden. Now planted with heirloom veggies, the garden is based on one planted by Thoreau in 1842 as a wedding present to Nathaniel and Sophia Hawthorne. 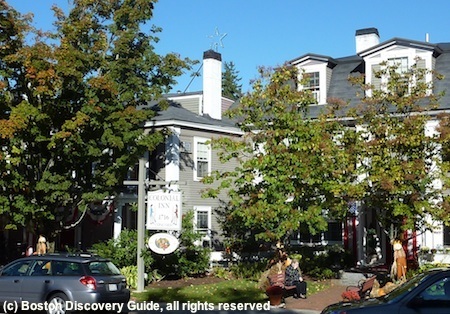 Built in 1716, the Colonial Inn has operated as a hotel since 1889, but its historic roots are firmly planted in the Revolutionary War. Colonists stored arms and supplies in one of its original buildings. 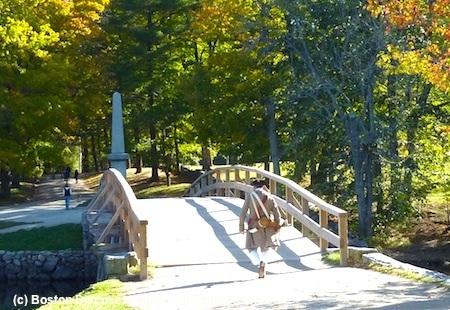 The British marched to Concord on April 19, 1775 to seize these goods but after fighting broke out on Old North Bridge, they instead fled back to Boston. 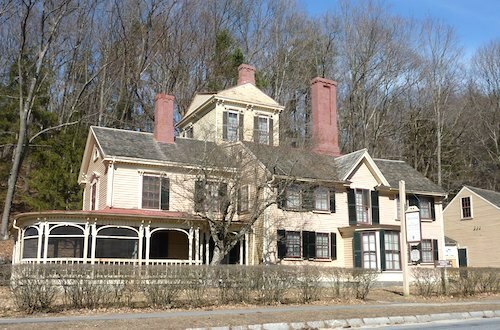 Through the centuries, the Colonial Inn has served a variety of purposes, ranging from a dry goods store to home of the Thoreau family, including Henry David Thoreau. 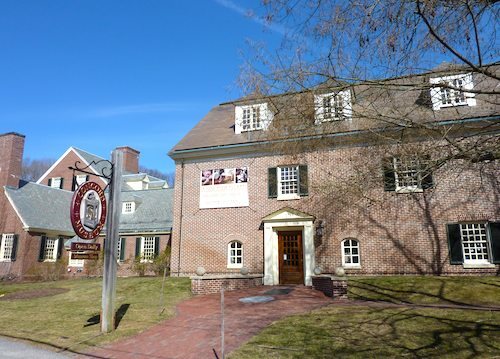 Today, the Colonial Inn provides lodging, food, drink, and entertainment. The Concord Museum's extensive collection of local historical, literary, and decorative arts treasures enables it to depict Concord's significant role in the history of New England and the United States. Six history galleries show Concord's progression from its 1635 founding by English settlers, its pivotal role in the American Revolution, and its role as the center for intellectual thought and literature in the mid-1800s. Displays in the 5 period rooms provide fascinating glimpses of Concord domestic life during the 1700s and 1800s, and include a recreation of Emerson's study, including all of its original furnishings, art, and personal objects. The decorative arts galleries draw upon the museum's collection of over 30,000 objects ranging from weathervanes, locally-made silver, 18th century furniture, and even one of Paul Revere's lanterns. 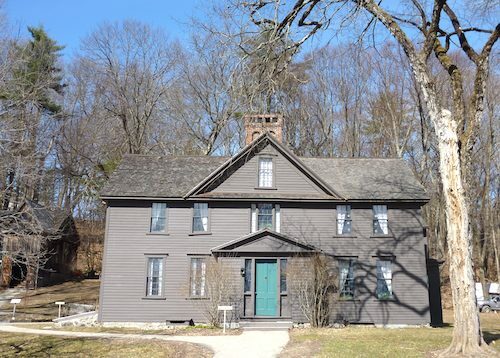 For fans of Louisa May Alcott's Little Women, Orchard House is a must-see because it's where she lived when she wrote her famous novel, loosely based on the story of her, her sisters, their parents, and Concord society. In fact, Orchard House is the house she depicts in her book. The house dates back to somewhere around 1690-1720. Bronson Alcott, Louisa's father, named it in honor of the 40-tree apple orchard. Orchard House is virtually unchanged since the Alcotts bought it, and 80% of the furnishings on display belonged to the Alcotts. You'll see all kinds of personal objects belonging to the Alcotts, including the shelf desk where Louisa wrote - it's as though the pages of Little Women have sprung to life! Just up the road from Orchard House is The Wayside, where the Alcott family lived for 7 years before moving to Orchard House. 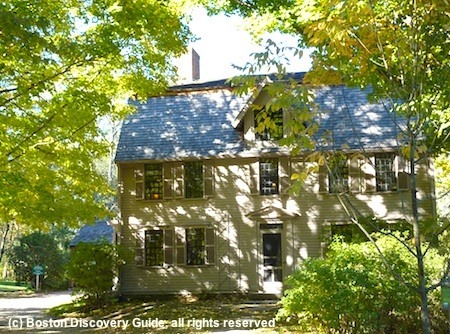 After the Alcotts moved, Nathaniel Hawthorne bought the house and gave it its present name. In the 1880s, Boston publisher Daniel Lothrop and his wife Harriett, who wrote Five Little Peppers under the pen name Margaret Sidney, lived at The Wayside. Fans of Hawthorne's writing, they made as few changes as possible to it and even acquired some of Hawthorne's furniture for it. The Wayside, part of the Minute Man National Historical Park since 1965, probably dates from the late 1680s, although additions and the Victorian-style porch have been added onto the original Colonial structure. The Park Service has continued to maintain and restore the property. A barn-like structure next to the house serves as a Visitor Center and contains displays about the writers who once lived in the house. Park Rangers give excellent guided tours of The Wayside for up to 10 visitors at a time. You can ask about availability at the Visitor Center, or call before coming. Located on Bedford Street just beyond Concord Center, Sleepy Hollow Cemetery contains the graves of the most famous Concord Transcendentalists and writers in an area called "Authors' Ridge." 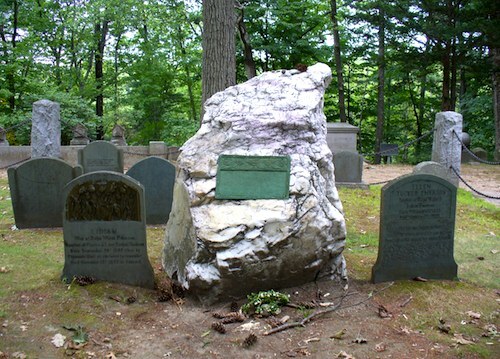 Here you can find gravestones for Emerson, Thoreau, Hawthorne and his wife Sophia, Bronson Alcott, Louisa May Alcott, and William Ellery Channing. In 1855 when the cemetery was established, "garden" cemeteries had become popular, and Sleepy Hollow - still in active use for burials - follows that tradition. A small sign will direct you to Authors' Ridge, but also take a few moments to stroll around other sections of this beautiful spot. If you're an Emerson fan, you'll find his house fascinating because it still contains many of the original furnishings (except for Emerson's study, now on display at the Concord Museum across the street). The house continues to be owned by Emerson's descendents, who maintain it as a private museum and offer guided tours to visitors. Originally built as a summer place in 1829, the house became the year-round home of the Emerson family when they bought it in 1835. Thoreau, the Alcotts, Margaret Fuller, and many other friends all visited the Emersons here throughout the years. Although an 1872 fire almost destroyed the house, Emerson, his family, and his papers all escaped harm. Neighbors surprised Emerson by taking up a collection and repairing the house while he traveled abroad. Today, the house feels so unchanged that you can almost imagine that you'll find Emerson hard at work in his study. 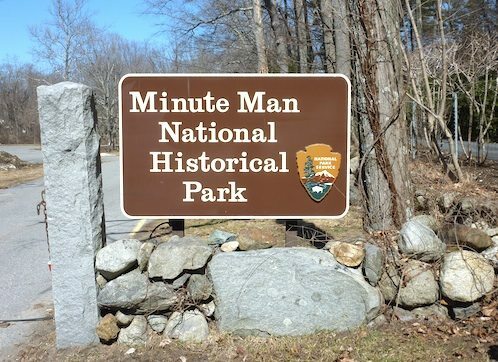 In addition to areas around Old North Bridge and The Wayside, the Minute Man National Historical Park flanks both sides of Route 2A, starting about a mile from Concord Center and continuing to Route 128. This is the route taken by the Redcoats on their march to Concord on April 19, 1776 - and when they fought their way back to Boston, under constant fire from enraged Colonial militia. There's much to explore in this park, but if you're on your way back to Boston after exploring Old North Bridge, Walden Pond, and all the other historic Concord sites, you probably don't have time. 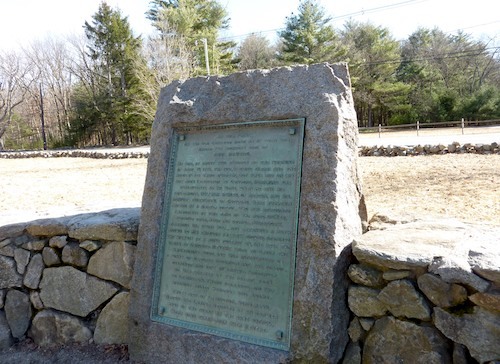 However, you can quickly stop by the spot (well-marked by a sign on the road) where a British patrol stopped Paul Revere, William Dawes, and Samuel Prescott as they rode on horseback to Concord. They managed to capture Revere, although he later escaped. You'll find a marker commemorating the incident, as well as brochures about the Minute Man Park. 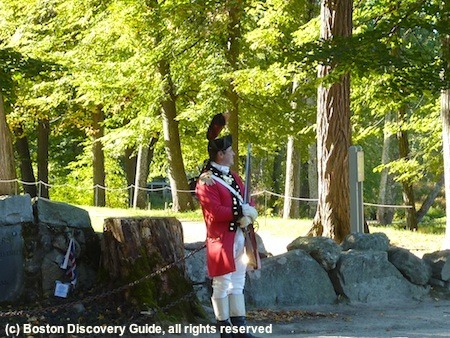 Frankly, the marker is one of the least interesting things in the park, but you can pick up a brochure and start planning your next visit to this interesting historical area near Boston. Boston Marathon Qualifying Times: Can You Make the Cut?